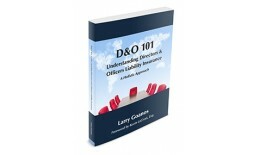 Real-world war stories from the front lines of D&O Insurance to illustrate the importance of various principles. 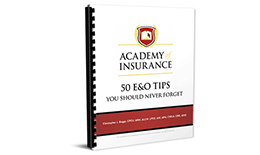 The book contains a chapter of career advice from more than 60 senior insurance executives, including 25 current or former CEOs. 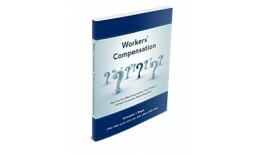 Respected leaders such as Maurice "Hank" Greenberg, Brian Duperreault, Stephen Way, Dinos Iordanou, Kevin Kelley and many others provide their unique insights on career advancement. So you think you've heard everything possible regarding how to save your agency from E&O claims? 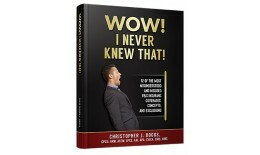 This book will challenge that presumption. 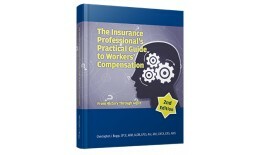 Workers' compensation may be the most intriguing and confusing of all property/casualty insurance coverages. 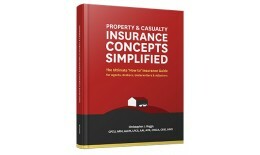 This book details key property and casualty concepts rarely discussed or found in print; rather they are often left to be "discovered" over time. These important concepts are now written down for all. 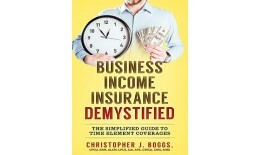 "Business Income Insurance Demystified: The Simplified Guide to Time Element Coverages – Third Edition" details the purpose, processes, and intricacies of business income coverage; and like the title suggests – simplifies business income for the insurance professional. 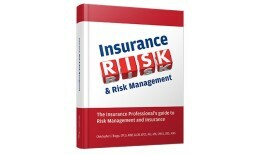 This book details 12 insurance coverages, exclusions, and concepts that many, if not most, insurance practitioners don't fully understand or simply choose to ignore. Is your client a risk taker? How do you know? Insureds have many different options for financing their risk of loss from traditional, first dollar insurance up to full intentional self-insurance. But which option is the best?